Pi day is coming up and you don’t want to be without pie. 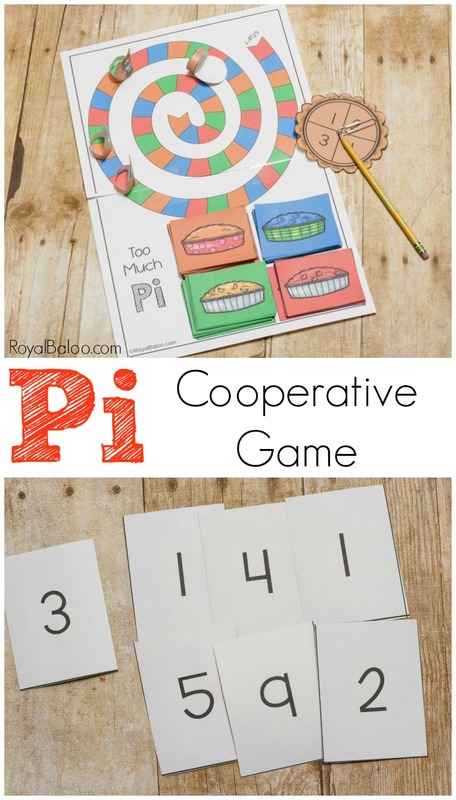 Or fun Pi activities. 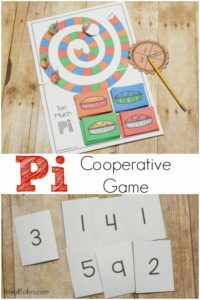 This Pi game will teach you the number pi while having fun. Pi Day is approaching. Not Pie day…Pi Day. Although, if you want to celebrate Pi day with Pie, I don’t think anyone is going to stop you. I suggest a good apple pie, in fact. Anyway, Pi Day is March 14th. Why? Because March 14 is 3/14 which is oddly similar to 3.14, which are the first three numbers to pi. I’ve got to admit, someone out there is quite clever. They also realized that if you reverse 3.14, it kind of looks like pie. My kids are still a bit young for Pi, but I love introducing them to concepts early. This way when they are ready to learn about it, they already have a base knowledge to work from. Personally, when I’m learning something knew, it’s a lot easier if I have some knowledge to use. Starting from a blank slate is just plain hard. We talk about all kinds of random topics long before it’s necessary. So yes, I will introduce my 5 year old to pi. 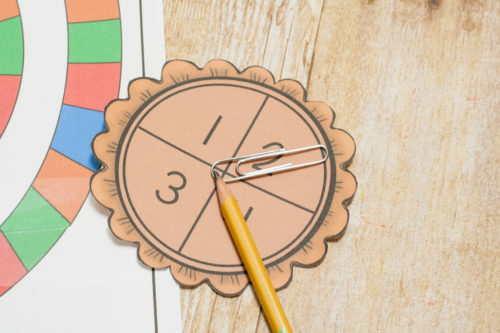 We will talk about how pi is used when measuring circles, that the first 3 numbers are 3.14 (and maybe even learn more numbers), and that it’s a very important number. I wrote a post for iHomeschool Network all about throwing a Pi Party. If you need more ideas, definitely check that out! We love to play games and I really enjoy making my own games. So why not a Pi game, right? 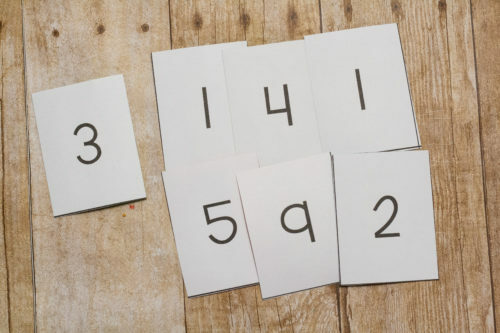 The premise is simple – you’re collecting the numbers to Pi! 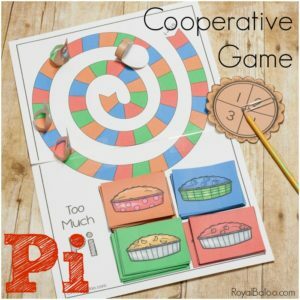 This game can be played cooperatively (our favorite way) or competitively. My preferred method is to work as a team to see how many numbers of Pi we can gather. I highly recommend printing on cardstock if you’d like to play a full game. 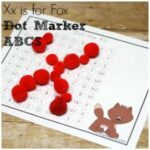 Print the game board, spinner, and pieces single sided. The game board will need to be taped together, but if should line up together well. The cards should be printed doubled sided. 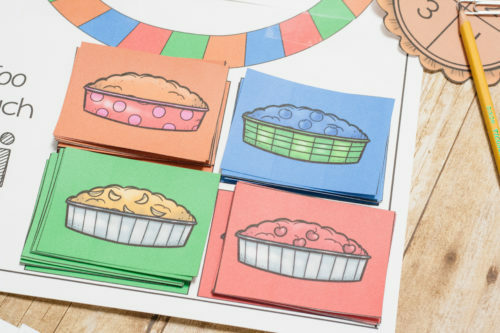 There are four playing pieces to choose from (all kids who love pie, of course). Everyone can pick their own and start on the first square. 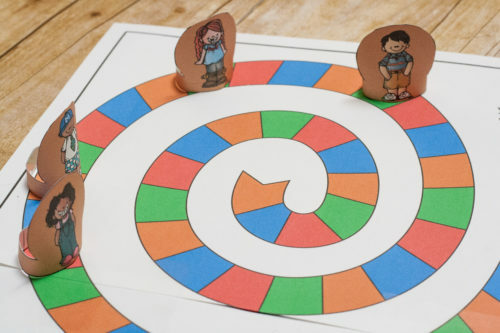 Players take turns spinner to pie spinner to see how many spaces they move. In this game, lower numbers are better so you can hit as many squares (and collect as many cards) as possible! When you land on a space, collect the top card from the matching color. 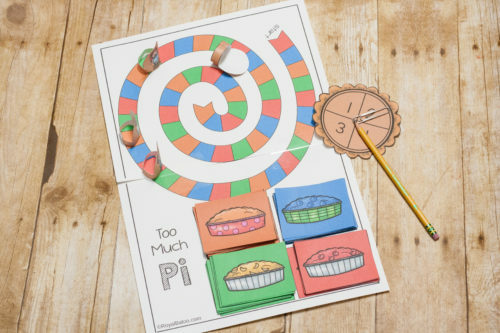 Each color has a specific set of numbers so you’ll need to collect cards from all the colors to make Pi. Keep moving around the board and collecting cards until you’ve reached the end. As you collect cards, start placing them down in order. You can skip around, if you’d like, but the the numbers only count at the end if they are uninterrupted! I’ve made a board for placing these cards to make it simpler – it’s in the download! Download your Pi Math Game Here!